The first villa you come across as you walk into heaven! A wonderful house! Its ground floor with large courtyard, the amazing garden on the left and the small private pool under the roofed terrace tempt you to be outdoors. Walking in the large, comfortable sitting room adorned with a fireplace, exceptional furniture and a fully-equipped kitchen, you realize you made the right choice for you and your family. The two bedrooms of the house overwhelm you with a feeling of peace and relaxation. Next to one bedroom and opposite the other, there is a beautiful bathroom, enticing in its simplicity with a bathtub promising moments of enjoyment and relaxation. The house was designed for you so feel at home and enjoy your holidays! 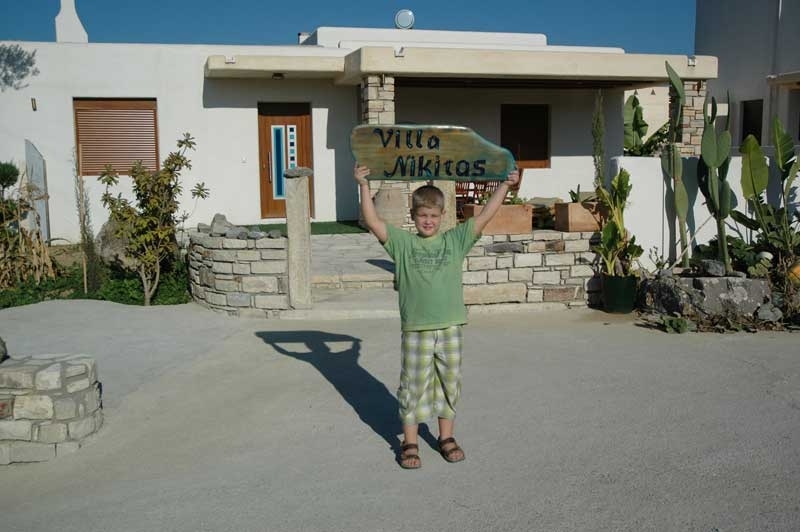 The villa can host up to 4 people.